Summer is a fabulous time of the year for many reasons, especially if you love gardening like I do. As much as I love all the outdoor time, I also have quite sensitive, dry skin that gets all itchy and irritated with the heat. This is usually when I switch out (or at least alternate) my heavier moisturizers with lighter, easier-to-use lotions. 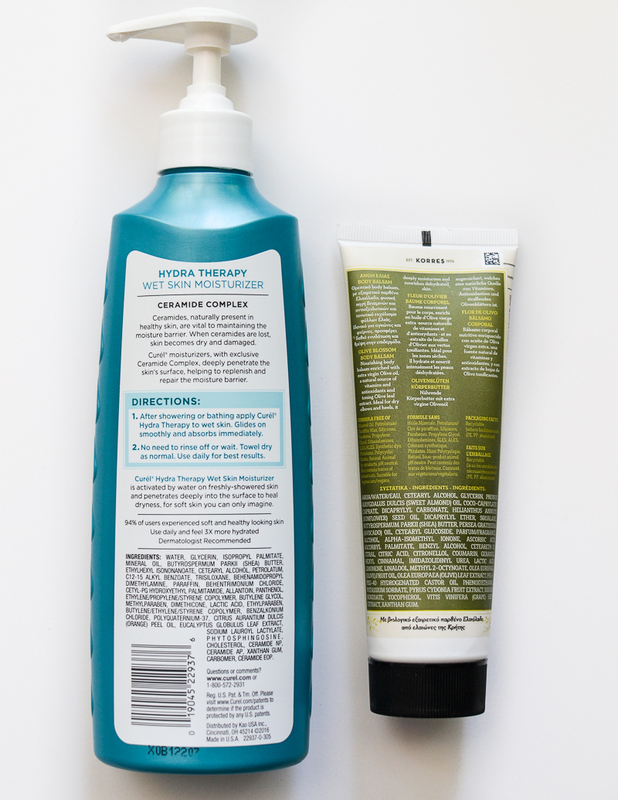 Two new ones I have been trying out recently are the Curel Hydratherapy Wet Skin Moisturizer and the Korres Olive Body Balsam. 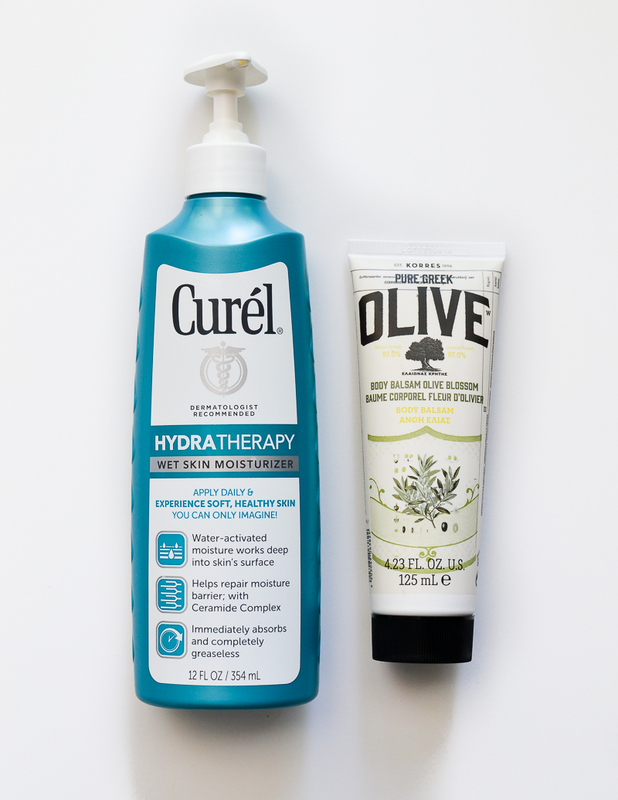 The Curel Hydratherapy Wet Skin moisturizer is a new-to-me product. Unlike regular moisturizers, this goes on wet/damp skin, and there's nothing more to do after that. No rinsing off, no scrubbing, nothing. Just pat dry skin with a towel as you would regularly do and get on with the day. The moisturizer is light and absorbs easily into the skin, leaving skin smooth and soft with no visible residue. With any skincare, fast and easy is almost as important to me as being effective. It's so much easier to stick to a routine when it's short and convenient, which is why the Curel Hydratherapy Wet Skin moisturizer is perfect. Bonus, it has a barely noticeable scent that won't clash with my perfume or be overwhelming in any way. Korres Olive Body Balsam is a light moisturizer with a lovely green floral scent to it. With my dry skin, I do find it a little too light, but for those with normal skin and/or for humid days, this would be a good pick. I keep it around to use as a hand cream since the tube is easy to carry around, and this doesn't leave my hands sticky or greasy. Let me know if you have any go-to summer moisturizers - I would love to give those try! Product samples were provided for me to try out and review.